Part of the Century Collection by Ottiu, the Debbie Sofa is inspired by the Hollywood actress, Debbie Reynolds. A film legend, her 1950’s films brought glamour and style to the masses. The Debbie Sofa combines Debbie’s enchanting personality with modern flair. This unique design has a boxy art deco shape upholstered with the highest quality cotton velvet. 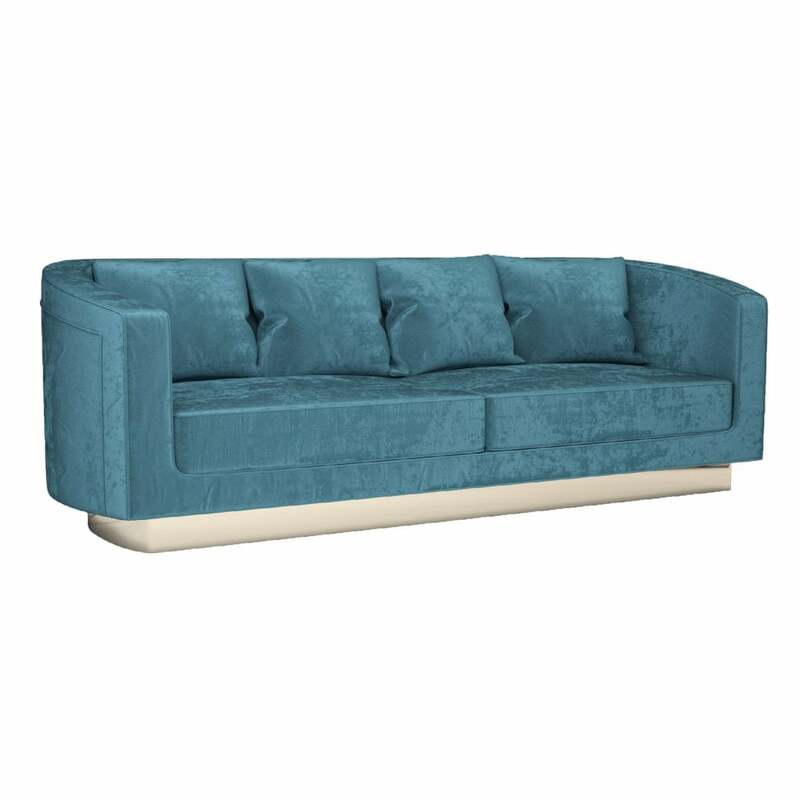 Shown here in a teal shade, the sofa is supported by a polished brass base which complements the bright blue hue. The Debbie Sofa looks beautiful paired with flashes of silver and pastel pink tones. Debbie is available in a range of fabric and colour options. Make an enquiry for more information.